Dance Fest. Rock Village Hall. Bewdley, Kidderminster, Worcestershire. Enchanting Wedding Receptions, Conferences, and Meetings. 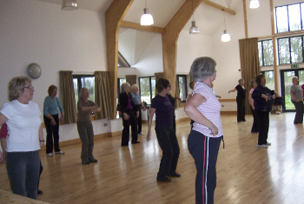 A class run by dance Fest for the over 55s at Rock Village Hall for men and women.